Compare Mid-size slr digital cameras side by side quickly and easily with SpecsPRO! Just select two and more Mid-size slr cameras you like and click "Compare" to see their specs comparison. 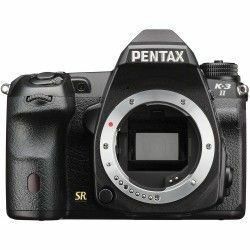 Mid-size slr camera comparison is the only way to buy the best camera in this category of body type. Сarefully compare such specifications as weight, maximum aperture, size of sensor, number of pixels and many others.